Become a KB fan on Facebook! Visit KB's IMDb page! Follow KB on Twitter - @kevinlburke ! KB appeared as 'Henry Hunter' in an upcoming film entitled, "Finding Christmas" - a production of Chapel Grove Films to be released in 2019. KB played 'Mr. Hill' in the film, "Education in Love" released in 2018. "EIL" is a faith-based, feature-length film from Set Apart Productions. KB appeared as 'Mr. Thomas' in a United States Postal Service video entitled, "Peer-to-Peer Service Delivery." 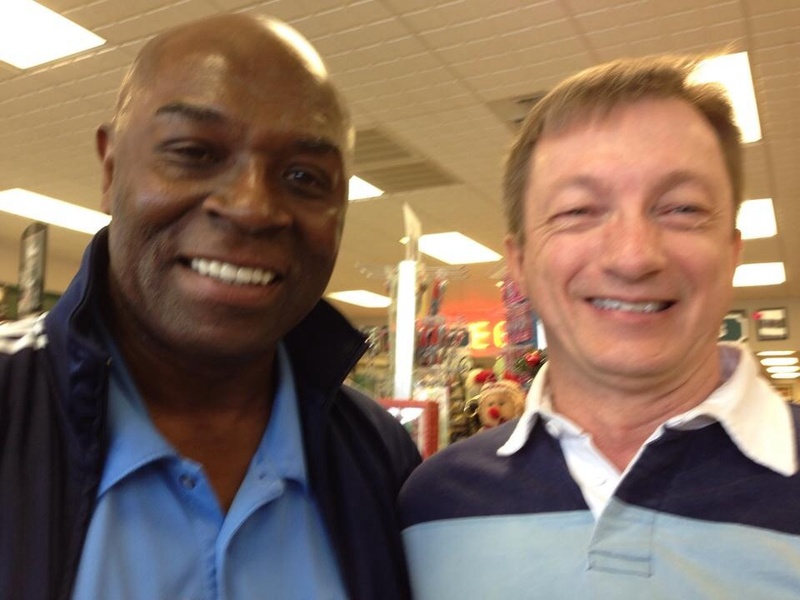 KB played a plumber in the 'Charles A. Cannon Documentary' (by GreyHawk Films). KB will be appearing in an upcoming film, "The Woods Talk." To be released in 2018, TWT is a short film by JonJed Films and SKillful Productions. KB appears as the Gotham City Lead Detective in the Instagram Television series, "Asylum Origins: Harley." KB appeared as 'Dr. Wilson' in the season 1, episode 2 of "What Lies Beyond." Watch the entire episode now ('The Avarice Snare')! KB appeared in the pilot for "Sleepy Hollow" and season 3, episode 7 of "Banshee." Also, KB has appeared on numerous episodes of "Sid Roth's: It's Supernatural." Watch KB as 'Gary Brausen' in this 30-minute episode of "Sid Roth's: It's Supernatural." KB appeared in a 2016 national Coca-Cola commercial with Danica Patrick. KB appeared in a 2016 national Coca-Coal commercial with Tony Stewart. 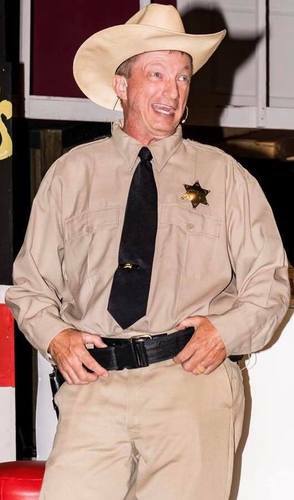 KB was awarded Lincoln Theatre Guild's 2018 'Best Actor' and 'Stole The Show' awards for his role as 'Sheriff Ed Earl Dodd' in "The Best Little Whorehouse in Texas." He was also named Johnson City Community Theatre's 'Best Actor of 2007' for his roles in "The Mousetrap" (Detective Sergeant Trotter) and "Christmas Belles" (Dub Dubberly). KB is played 2 roles (Potiphar & Naphtali) in King's Mountain Little Theatre's production of, "Joseph and the Amazing Technicolor Dreamcoat" running March 8 - 17, 2019. KB played 'Glenn Truesdale' in "Retrieving the Lamb" at the First United Methodist Church and Gaston County Public Library in Gastonia, North Carolina on November 26 & 27, 2018. KB portrayed ‘Director Victor Fleming’ in the hilarious comedy, “Don’t Cry for Me Margaret Mitchell” from November 8 - 17, 2018 at the Little Theater of Gastonia. 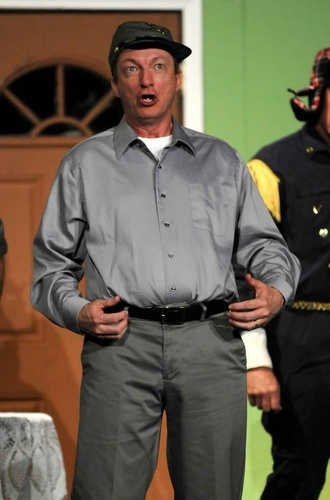 KB portrayed 'Coach Jack Bolton' in the Cherryville Little Theatre production of Disney 's "High School Musical" from October 5 - 14, 2018 in Cherryville, N.C.
KB played 'Sheriff Ed Earl Dodd' in the Lincoln Theatre Guild's presentation of the fun-loving musical, "The Best Little Whorehouse in Texas" from July 19-22, 2018 at The James W. Warren Citizens Center in Lincolnton, North Carolina. KB played the roles of 'Edwin Earhart, Rudy Lorenzo, and an Old Man' in the play, "Amelia Earhart: Flights of Fancy" at the Kings Mountain Little Theatre in Kings Mountain, North Carolina on February 23, 24, 25, March 2 & 3, 2018. KB played 'The Narrator' in the musical comedy, "The Rocky Horror Show" on October 20, 21, 22, 27, 28, 29, & 31 (Halloween), 2017 at the Lincoln Theatre Guild in Lincolnton, North Carolina. KB appeared as 'Reverend Loretz' in the historical drama, "Thunder Over Carolina" which played May 12, 18, 19, & 20, 2017 at the Lincoln Theatre Guild in Lincolnton, North Carolina. KB is played 'Henry' in the classic musical, "The Fantasticks" at Kings Mountain Little Theatre in Kings Mountain, North Carolina from March 10-18, 2017. 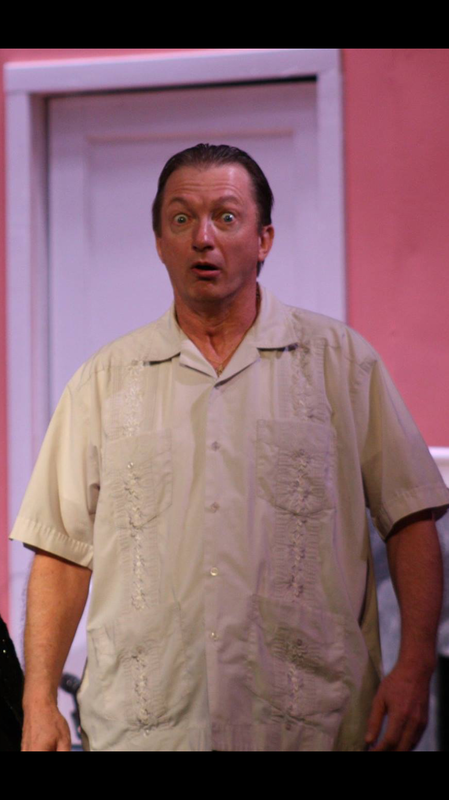 KB played landlord, 'Gil Schmidt' in the raucous comedy, "Nana's Naughty Knickers" playing at the Lincoln Theatre Guild in Lincolnton, North Carolina from February 10-19, 2017. KB played a variety of funny roles in the zany, fast-paced comedy, "The 39 Steps" at the Kings Mountain Little Theatre from September 30 - October 8, 2016. KB played numerous characters, including 'Ebenezer Scrooge" in the hilarious Christmas spectacle, "Every Christmas Story Ever Told (And Then Some)" at The Little Theater of Gastonia from November 12 - 21, 2015. 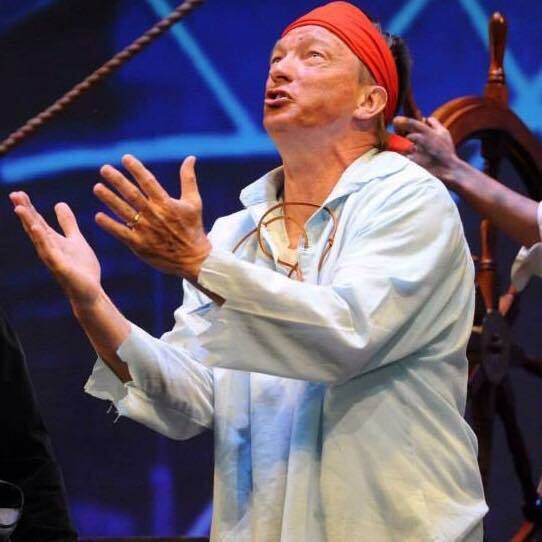 KB played 'Jemmy Rathbone' and 'Squire John Trelawney' in "Treasure Island" at Greater Shelby Community Theatre from July 17 - July 26, 2015. KB played 'Deputy Shefiff John Curtis Buntner' in the hilarious comedy, "Southern Hospitality" at Kings Mountain Little Theatre. The production ran February 27 - March 7, 2015. 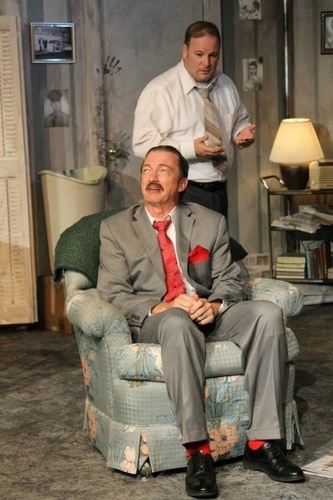 KB appeared as Hollywood Director, 'Billy Einhorn' in the dramatic comedy, "The House of Blue Leaves" which ran from November 13 - 22, 2014 at The Little Theater of Gastonia. 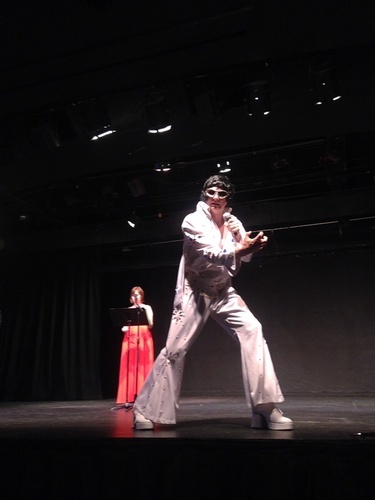 KB performed "Heartbreak Hotel" as the 'King of Rock 'n Roll, Elvis Presley' in "The Stars Come Out on the Catawba Queen" on May 4, 2014 at The Pease Auditorium on the campus of Central Piedmont Community College. 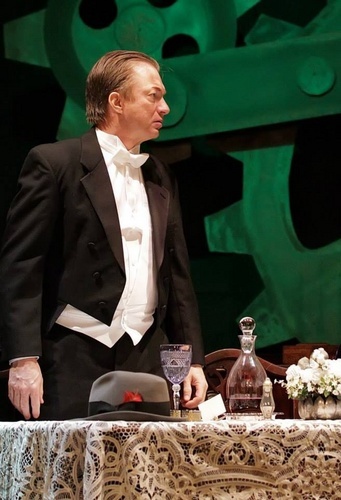 KB was in The Little Theater of Gastonia's production of, "An Inspector Calls" from February 6 - 15, 2014. KB played the role of the dominant and arrogant, 'Arthur Birling' in this thrilling "mystery with a message." 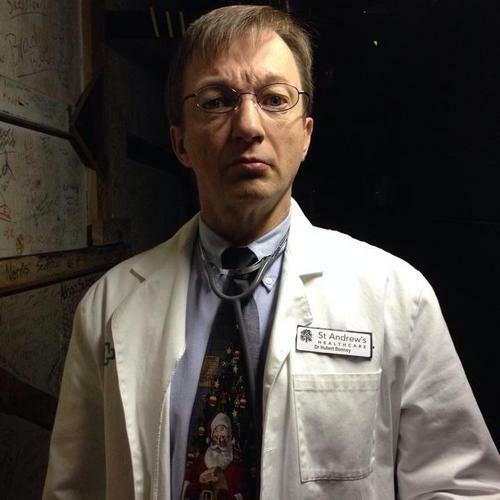 KB portrayed the lovable 'Dr. Hubert Bonney' in the hilarious comedy, "It Runs in the Family" at The Little Theater of Gastonia from November 14 - 23, 2013. This was KB's first comedic North Carolina performance since his high school days. 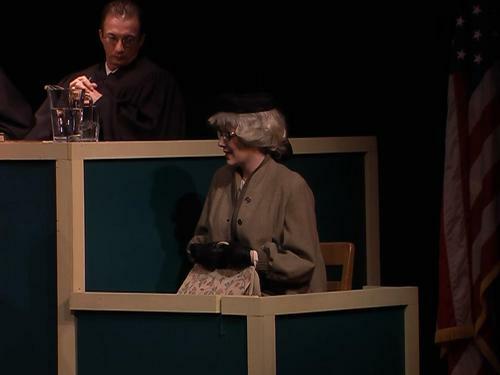 KB played 'Judge Kenneth Norris' in the intense and powerful drama, "Judgment at Nuremberg" from November 8-17, 2012 at Abbey Players and Belmont Community Theatre on the campus of Belmont Abbey College - KB's alma mater! KB played 'Thomas Huxley' in the insightful comedy entitled, "Darwin in Malibu" from March 30 until April 21, 2012 at The Mobtown Players Theatre in Baltimore, Maryland. KB performed as 'Morose' in "Epicoene: Or, The Silent Woman" at The Mobtown Players Theater in Baltimore, Maryland from September 23 - October 15, 2011. KB played corporate executive 'Warren Gillie' in the hilarious play "The Solid Gold Cadillac" at the Community Players Theatre (Bloomington, Illinois) from February 24 - March 12, 2011. 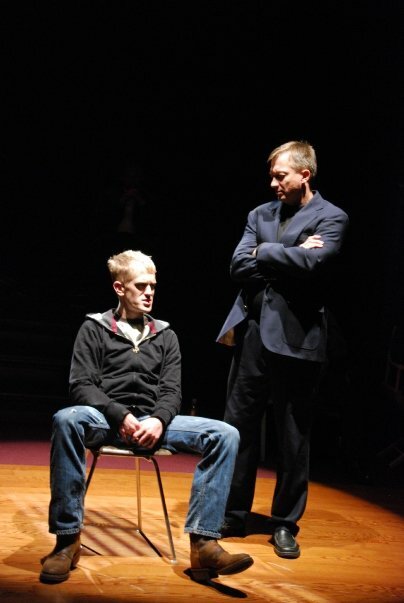 KB performed as 'Doug Laws, Dr. Cantway, Conrad Miller, Rob Debree, and Newsperson #2' in the ensemble production of "The Laramie Project" with the Springfield Theatre Centre at the Hoogland Center for the Arts from November 6 - 15, 2009. "TLP" which focuses on the death of Matthew Shepard and its aftermath, is currently one of the most popular plays in the United States. KB reprised his role as 'Dub Dubberly' in "Southern Hospitality" at JCCT from June 5 - 21, 2009, receiving praise from the playwrights. "Southern Hospitality" was the the much-anticipated continuing comedy sequel to "Dearly Beloved" and "Christmas Belles." 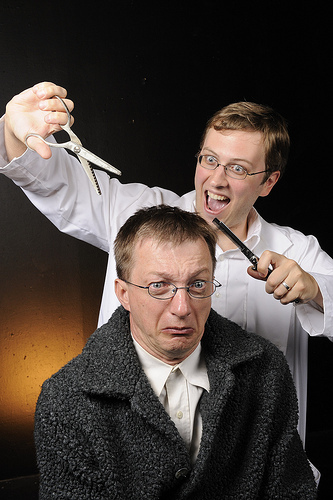 From December 5 - 20, 2008 at JCCT, KB portrayed 'Bernard' in the side-splitting comedy with more twists than a corkscrew, "Don't Dress for Dinner." DDD was a smash hit in Paris, where it played for over two years, and in London, where critical acclaim greeted the Apollo Theatre production. KB played 'Thomas Putnam' in the Jonesborough Repertory Theatre version of "The Crucible" from October 30 through November 9, 2008. The Crucible, which won a 1953 Tony Award for 'Best Play,' is set in Salem, Massachusetts in the backdrop of the infamous Salem Witch Trials. 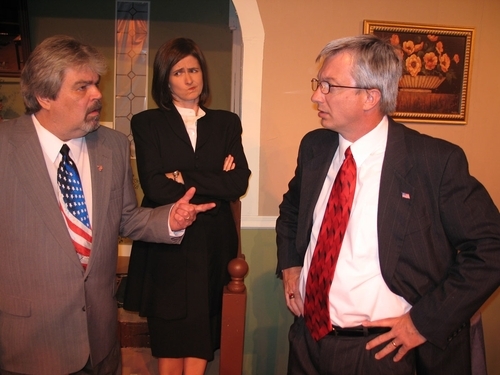 From June 6 - 21, 2008 at JCCT, KB played 'Fred the Governor' in the hilarious political comedy that puts the fun in funerals, "Lying In State." KB played 'Bob Ewell' in the literary classic "To Kill a Mockingbird" from April 11 - 26, 2008 at JCCT. From February 14 - 24, 2008, KB played the beloved 'Elwood P. Dowd' in the classic play "Harvey" at the JRT. "Harvey" has been a favorite since it was brought to the Broadway stage in 1944, winning the Pulitzer Prize for drama and ran for almost 4 years. "Harvey" came to movie theatres in 1950 with Jimmy Stewart playing 'Elwood P. Dowd.' Stewart also played Dowd on stage for six months in London. 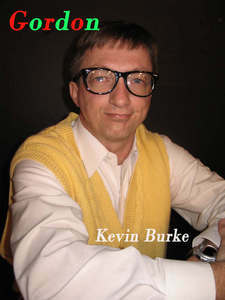 From November 30 - December 16, 2007, KB reprised his role as Texas husband and father, 'Dub Dubberly' in the JCCT production of "Christmas Belles" - the hilarious sequel to "Dearly Beloved." 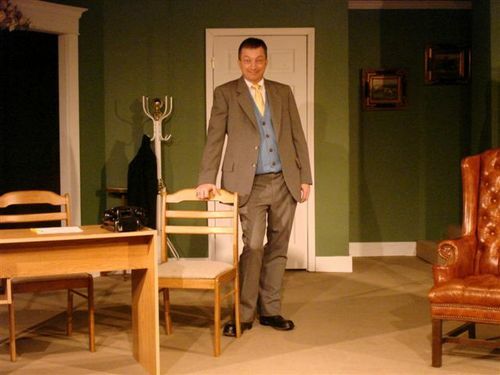 KB played 'Detective Sergeant Trotter' in Agatha Christie's "The Mousetrap" at the JCCT from October 5-20, 2007. 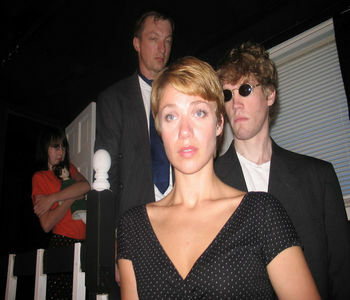 KB played 'Dub Dubberly' in "Dearly Beloved" at the JCCT which ran June 1-16, 2007, garnering praise from the Asheville, North Carolina playwrights. 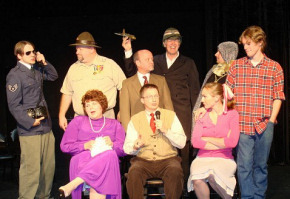 KB played the role of 'Roger Spelding' at Jonesborough Repertory Theater on November 18 & 19, 2006 in "Visit to a Small Planet." 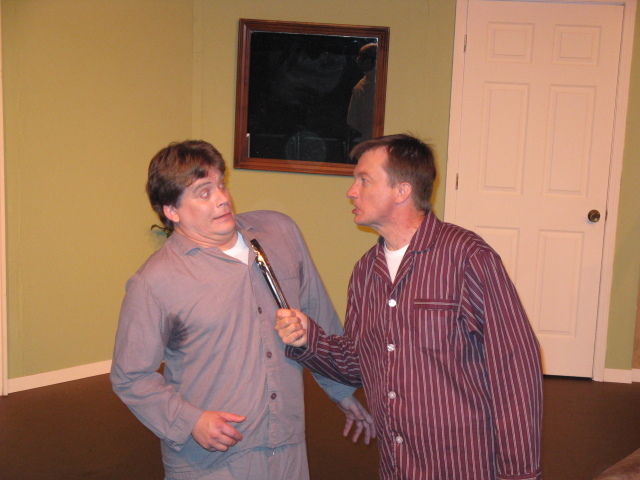 From October 13 - 28, KB was 'Mike Talman' in the Johnson City Community Theater 2006 production of the thriller, "Wait Until Dark." 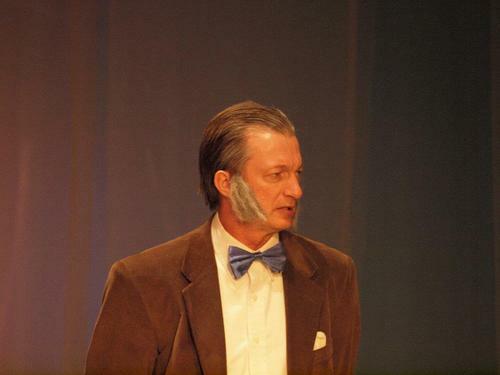 KB performed as 'Gordon Pugh' in the Johnson City Community Theatre December 2 - 17, 2005, production of "The Farndale Ladies Avenue Housing Estate Townswomen's Guild Dramatic Society's Production of A Christmas Carol." KB directed the play, "Lying in State" at Kings Mountain Little Theatre which ran from April 13 - April 21, 2018. Use this link to watch a WJHL television commercial for "The Mousetrap! KB is represented by Carolina Talent Agency in Charlotte, North Carolina. You can contact KB at kevinlburke@gmail.com . KB as 'Elwood P. Dowd' in "Harvey"
With cast members as 'Fred the Governor' in "Lying in State"
KB as 'Dub' with Cast Members of "Dearly Beloved" which ran June 1-16, 2007, included 3 "full houses" and praise from the Asheville, NC playwrights. 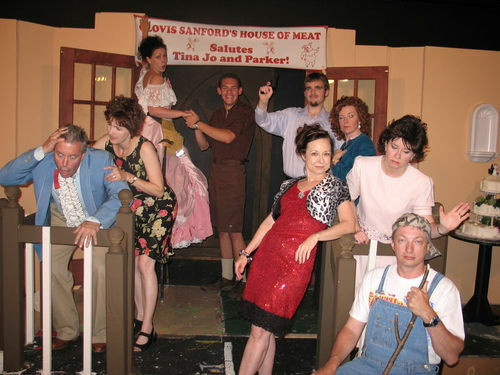 The cast of "The Mousetrap"
Wearing pajamas as 'Bernard' in "Don't Dress for Dinner" in December of 2008. KB performed at Jonesborough Repertory Theater in November, 2006 in "Visit to a Small Planet." 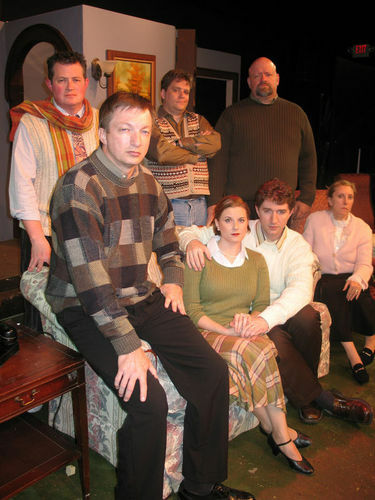 Some of the cast of the Johnson City Community Theater 2006 production of the thriller, "Wait Until Dark." 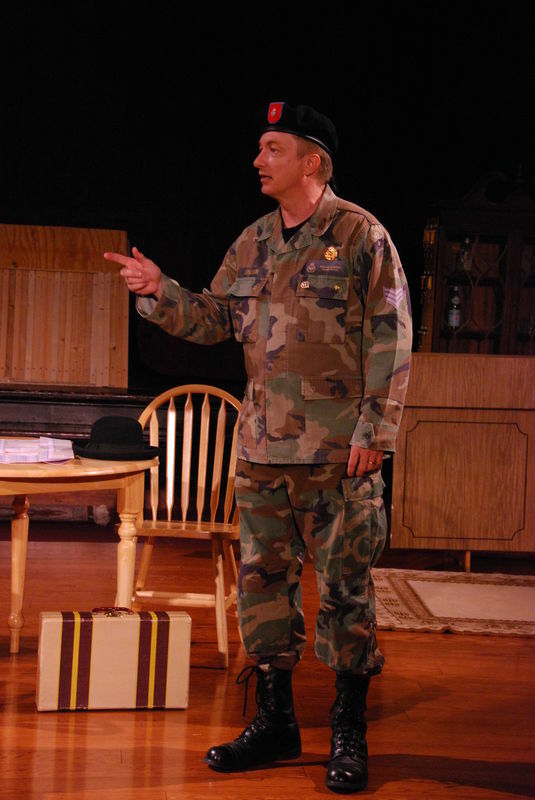 KB as 'Staff Sergeant (Froggy) Lesueur' in "The Foreigner" in March of 2010 in Springfield, IL. KB as 'Morose' in "Epicoene: Or the Silent Woman" in September & October, 2011, in Baltimore, MD. KB won 'Best Actor' & 'Stole The Show' awards as 'Sheriff Ed Earl Dodd' in "The Best Little Whorehouse in Texas" which ran July 19 - 22, 2018 in Lincolnton, N.C. KB as 'Rob Debree' grilling the suspect in "The Laramie Project" in November, 2009. KB as 'Thomas Huxley' in "Darwin in Malibu" in March & April, 2012 in Baltimore, MD. KB played "The Crofter" in the fast-paced, hilarious, "The 39 Steps" in September and October, 2016. KB as 'Judge Kenneth Norris' in "Judgment at Nuremberg" on the Belmont Abbey College campus (November 2012). 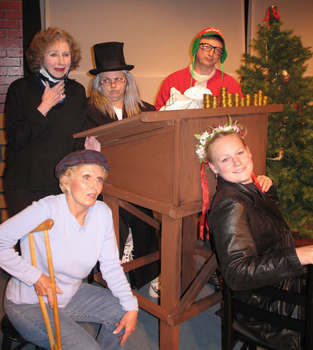 Cast of the Farndale Ladies Avenue ... "A Christmas Carol" KB as 'Gordon' at the local Johnson City Community Theatre 2005 production of "The Farndale Ladies Avenue Housing Estate Townswomen's Guild Dramatic Society's Production of 'A Christmas Carol." KB as 'Dr. Hubert Bonney' in "It Runs in the Family" which ran from November 14 - 23, 2013 at The Little Theater of Gastonia. KB in the role of 'Mr. Arthur Birling' in "An Inspector Calls" at The Little Theater of Gastonia from February 6 - 15, 2014. KB as Hollywood director, 'BIlly Einhorn' in "The House of Blue Leaves" which ran from November 13 - 22, 2014 at The Little Theater of Gastonia. KB performed as the 'King of Rock 'n Roll, Elvis Presley' in "The Stars Come Out on the Catawba Queen" on May 4, 2014 at Central Piedmont Community College. 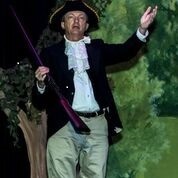 KB as 'John Curtis Buntner' in "Southern Hospitality" at Kings Mountain Little Theatre. The production ran February 27 - March 7, 2015. 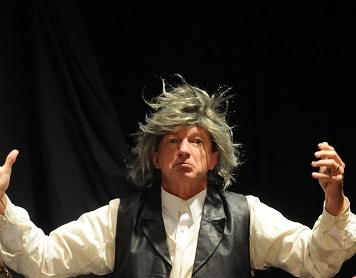 KB as 'Squire John Trelawney' in "Treasure Island" at Greater Shelby Community Theatre from July 17 - July 26, 2015. KB as 'Jemmy Rathbone' in "Treasure Island" at Greater Shelby Community Theatre from July 17 - July 26, 2015. 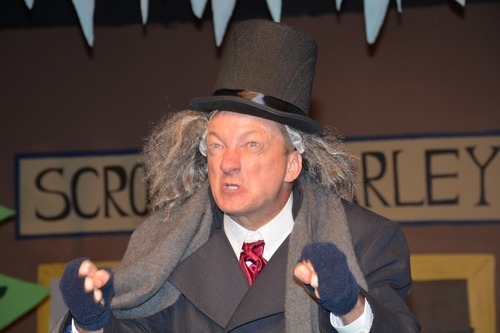 KB as 'Ebenezer Scrooge' in "Every Christmas Story Every Told (And Then Some)" which ran from November 12-21, 2015. 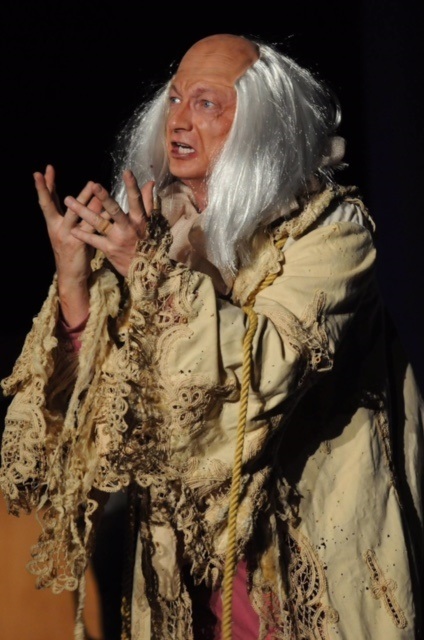 KB as 'Henry' in the classic musical, "The Fantasticks" which played from March 10-18, 2017 at the Kings Mountain Little Theatre. KB played landlord 'Gil Schmidt' in, "Nana's Naughty Knickers" at the Lincoln Theatre Guild from February 10 - 19, 2017. 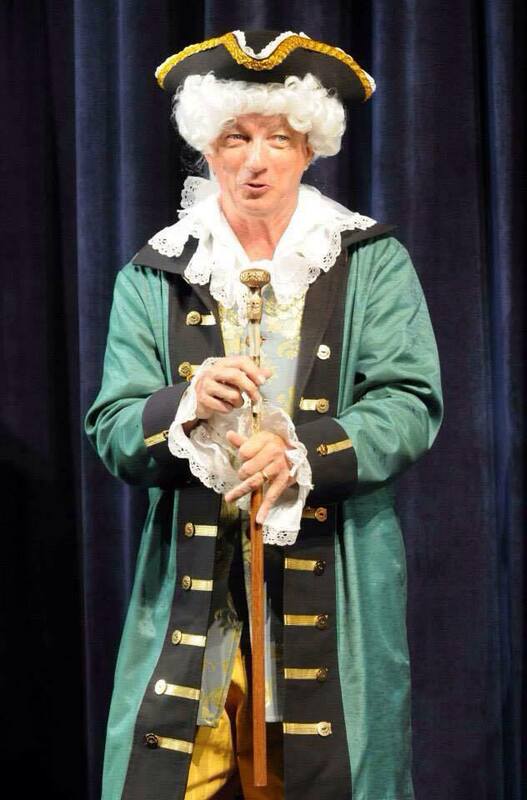 KB played 'Reverand Lorentz' in the historical drama, "Thunder Over Carolina" May 12-20, 2017.